Tablo is a 2-Tuner Over-The-Air (OTA) DVR for Cord-Cutters using HDTV antennas to access broadcast TV signals. All Tablo units include dual band Wi-Fi enabling Tablo and the antenna to be placed in an optimal location for OTA reception. Browse, record and stream up to two simultaneous live or recorded HDTV programs on your iPad, Android tablet, laptop, smartphone, or your big screen TV using Roku, Chrome cast or Apple TV. 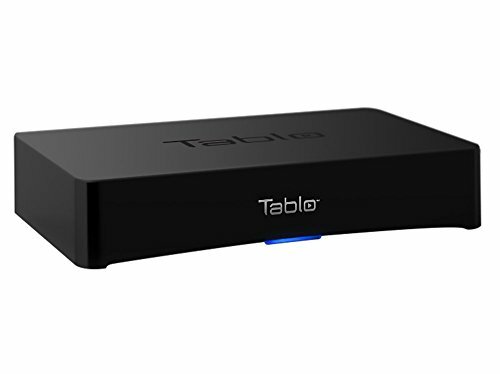 A Whole-Home-DVR and place shifter combined, Tablo streams your favorite HDTV programs including local news and sports to all connected devices on your home network or anywhere you have internet.For technical assistance contact 1-844-822-5688. Two Tuners allow you to record and watch two live OTA TV streams on up to six devices in your home. Discover new shows, schedule & manage recordings, and skip commercials using the Netflix-style interface of the Tablo Apps for iOS & Android mobile devices, computers, smart TVs, streaming media and gaming devices: Roku, Xbox One, Apple TV, Android TV, NVIDIA SHIELD and Amazon Fire TV, etc. All new Tablo OTA DVRs come with a 30-day free trial of our guide data subscription, including the Tablo Connect feature which lets you access your Tablo over the internet to enjoy live, local news and sports and recordings when traveling or on the go. NO HDMI: Tablo connects to your home's router using Wi-Fi & Ethernet so you can stream your favorite live and recorded TV content to any screen, any time, anywhere. 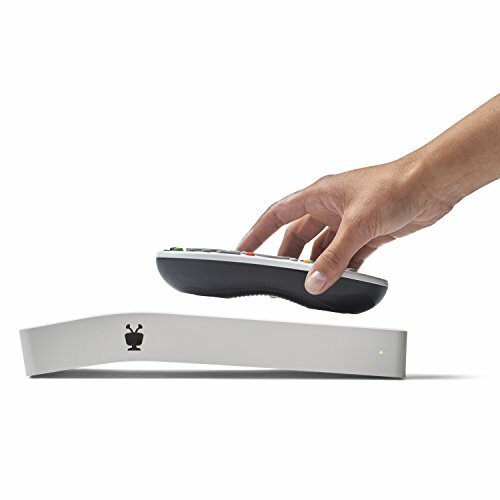 TiVo Roamio OTA. The premium TV experience without the premium price. Cutting the cord? The TiVo Roamio OTA was built for those looking for a full-throttled entertainment experience without cable or satellite. 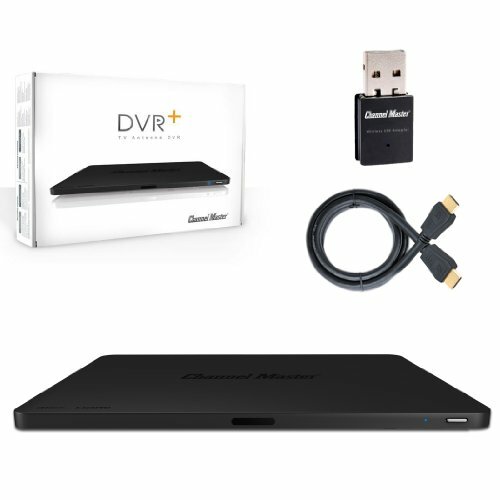 It works with any HD antenna, delivers 1 terabyte of recording capacity (up to 150 HD hours of HD programming) and integrates all your streaming content from Netflix, Amazon Prime, HULU, YouTube, Pandora and more. (4) Best of all, it s now available without a monthly TiVo service fee. 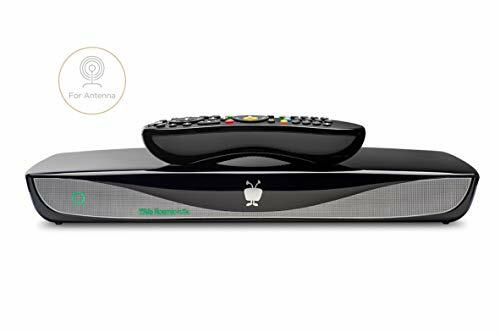 Without those hefty monthly TV bills and with TiVo service included in your purchase price TiVo Roamio OTA is the most economical premium TV experience available anywhere. Kindly enter your zip-code in the following link https://www.fcc.gov/media/engineering/dtvmaps to check the available TV reception in your locality. Compatible only with HDTV Antennas. Does not work with cable or satellite TV. No monthly TiVo service fee required. Record four shows at once and up to 150 hours of HD programming. Pause, rewind and record free HD programming. SkipMode skips entire commercial breaks of recorded shows at the press of a button. QuickMode speeds through recorded and buffered shows 30% faster, with pitch-corrected audio. Searches TV and streaming content simultaneously. Integrates access to Netflix, Amazon Prime, Hulu, VUDU and more. Record 4 shows at once and up to 150 hours of HD programming. (1) Replaces your cable box and works with your existing subscription (requires CableCARD); or plugs into any HD antenna to record over-the-air channels easily (over -the-air reception varies by location and is impacted by multiple factors). 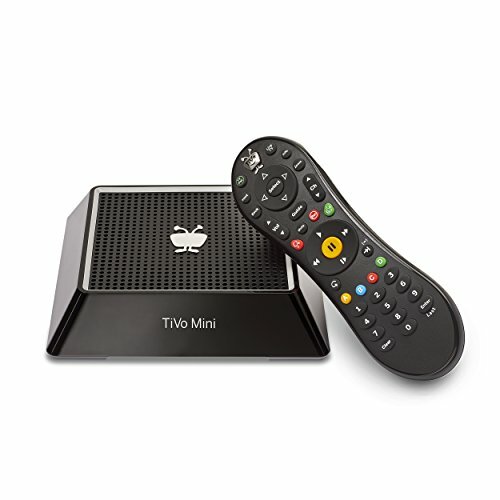 TiVo Mini is the powerful, all-purpose companion to your four- or six-tuner TiVo box. Delivering Tru Multi Room control, the Mini doesn t give you a watered-down set of features like other systems. Instead, you get the exact same TiVo experience in every room that you enjoy in your family room, including access to streaming content from Netflix, Amazon Prime and more. Plus, you ll enjoy all your favorite TiVo control features, like SkipMode, QuickMode and OnePass. Best of all, you can add TiVo Mini to additional TVs for no additional service fee. So start a show in the living room and finish it in the bedroom. Or schedule a recording from the kids' room. It's big entertainment with a very mini footprint. [ Phone Call and Remote Control ]: it supports answer phone call , remote control and microphone , just enjoy fun and convenience from this adapter. [ Audio and Charge ] : Dual functionality to listen to audio and charge at the same time. [ Excellent Performance ] : provides up to 48 KHz and 24 bit audio output. No current noise, 100% ensure premium and stable sound quality without sound distortion. [ Plug and Play ] : Just insert your charger or earphones into the jack and then it plays, no App needed, no additional software needed. 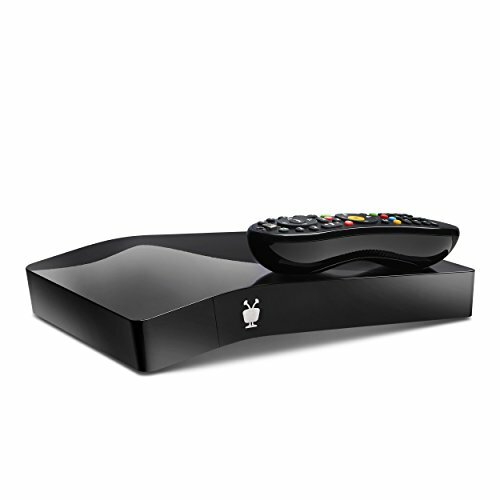 It s bigger-er: TiVo BOLT+, the roomier Unified Entertainment System. The only subscription-free, over-the-air DVR that integrates online streaming services and lets you choose your recording capacity. It's TV Freedom. The DVR+ provides the ultimate cord-cutting alternative to traditional pay-TV services. Watch and record free, live over-the-air broadcast programming in crystal clear HD, including all of your favorite shows, news and sports from ABC, CBS, FOX, NBC, PBS, The CW and many more. Experience pure, uncompressed HD, a higher quality video signal than what is provided through cable and satellite operators, displaying both SD and HD video resolutions up to 1080i/1080p. 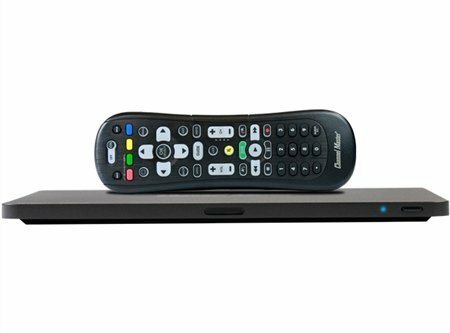 Enjoy a familiar experience with menus and a program guide very similar to the DVRs used by cable and satellite operators, and dual tuners allow you to record one program while watching another or record two programs at the same time. Internet connectivity provides additional features including an expanded 14-day program guide, software updates, access to online streaming services and a free subscription to Channel Master TV (30+ Internet Channels). Easy Firmware Update To update firmware, users simply opt for the USB firmware update. Brand: Brite-View | Manufacturer: Zinnet, Inc.